Waddington Custot Galleries are delighted to announce that two of Robert Indiana's impressive large-scale sculptures, 'LOVE' and 'ONE THROUGH ZERO (THE TEN NUMBERS)', will be on display in the City of London from 20 June 2013 as part of 'Sculpture in the City', an ambitious public art project organised by the City of London Corporation. Other artists selected for the project include Antony Gormley, Jake and Dinos Chapman and Ryan Gander. 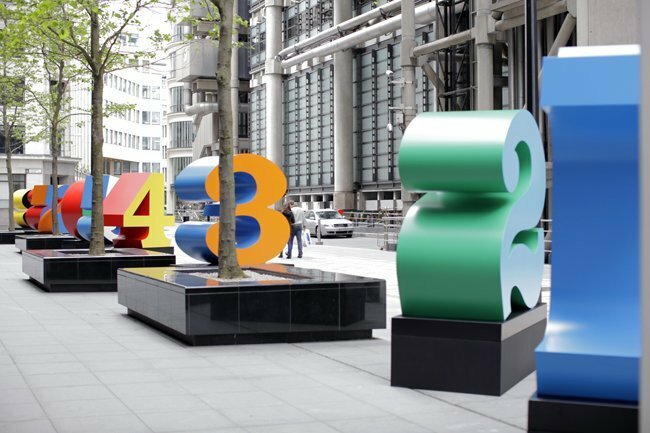 Indiana's iconic 'LOVE' is installed at 99 Bishopsgate and the gigantic 'ONE THROUGH ZERO (THE TEN NUMBERS)' are positioned throughout Lime Street, EC3.